A consortium led by our group was awarded 26 Million SEK by the Swedish Foundation for Strategic Research for working on In-Situ Big Data Analysis for Flow and Climate Simulations. The polar and subtropical jet streams are strong upper-level winds with a crucial influence on weather throughout the Northern Hemisphere midlatitudes. Existing extraction algorithms require thresholding to determine the subtropical and polar jet stream. This is particularly problematic for the polar jet stream, whose wind velocities can change rapidly. We develop a network-based scheme using Dijkstra's shortest-path algorithm to detect the polar and subtropical jet stream core. This algorithm not only considers the commonly used wind strength for core detection but also takes wind direction and climatological latitudinal position into account. It distinguishes between polar and subtropical jet, and between separate and merged jet states. Existing pattern matching algorithms work on single scalar or vector fields only, yet many numerical simulations output multi-field data. We present an approach to pattern matching in 3D multi-field scalar data. It allows for a joint analysis of multiple fields describing complex phenomena fully. We present the first work to directly compare touch surfaces for two critical factors: performance and ergonomics. 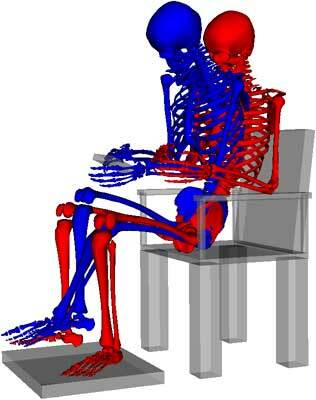 Ergonomics indices were calculated from biomechanical simulations of motion capture data combined with recordings of external forces. We provide an extensive dataset for researchers and report the first analyses of similarities and differences that are attributable to the different postures and movement ranges.